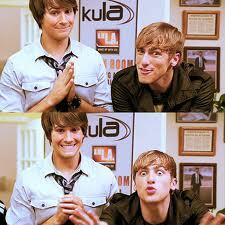 james and kendall<3. . Wallpaper and background images in the big time rush club. This big time rush photo might contain boina verde, forças especiais, soldado de elite, soldado de elite de boina verde, forças especiais, o jantar, and lanchonete.